The Summit large utility bag is a larger-sized back that attaches to the molle-style system on your Summit harness, making everything you need easily accessible. It even works well with most other harnesses on the market. 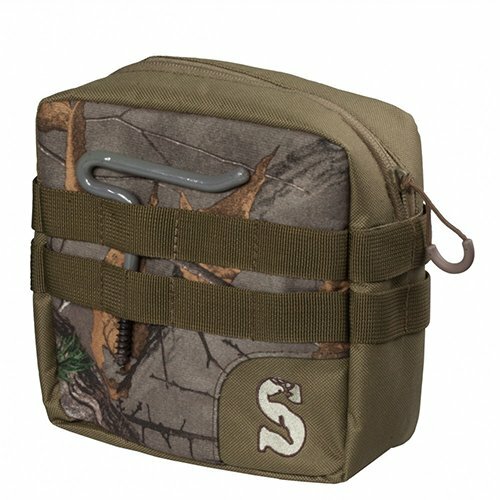 The large utility bag is a necessity for things you need when hanging Tree stands, like utility hooks or reflectors, or for things you need while in your Summit treestand, such as calls, scents or bow hangers. The Summit large utility bag is covered in water resistant Realtree camouflage and offers a clip to hang from the Tree on your Summit utility hooks.